The smells of various metals being smelted and refined filled the workshop. Short, stocky dwarves hammered away, content to work by themselves and not be interrupted by the other workers. That didn’t stop them from sending sidelong glances at the others, however. Day after day and night after night, the dwarves crafted the very best tools and items to be used by each other and those in the kingdom. But as is customary among dwarves, these fine crafters of metal, runes, and gems had secret projects that nobody would see until they were completed. These projects would be sold to the King, and only the most worthy and cunning artisan would make a proper craftsman to the King himself. While the casual onlooker might only see the simple tinkerings of the dwarves, the experienced crafter knew of the secrets that lay on each and every workbench; a work of art suitable for only a king…so long as they can mine the resources required to finish their secret projects before a colleague finishes theirs first. WARNING: This is a preview of Dwarven Smithy. I was sent a prototype version of the game. All components and rules are prototype and subject to change. Before I begin, I just have to say one thing...The women dwarves have beards! How neat is that!? There. I said it. On with the review! 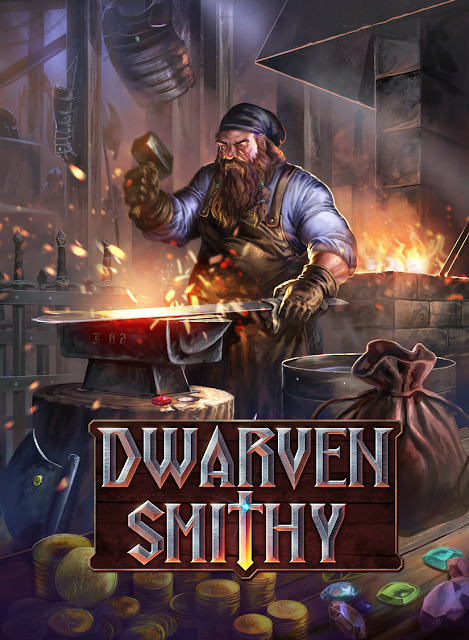 Dwarven Smithy is a resource and hand management game in which players craft items, tools, apprentices, and other items fit for kings, all in the hopes of selling them for exorbitant prices and becoming the richest dwarf in the realm. Players win by having the most gold at the end of the game. The game ends when the last Guild Card or Resource Card (Mine deck) has been drawn, or a player has four King’s Items in their Market. 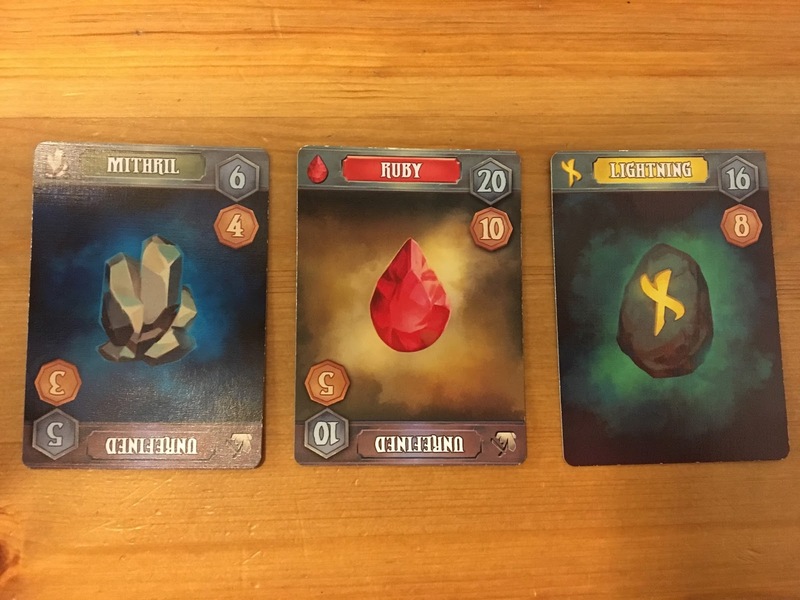 The card on the left is part of the Full Game, and the one on the right belongs to the Starter Game. Once the desired game type has been chosen, place the game board in the middle of the table. Shuffle the Guild deck and place it on its designated spot on the board. Do the same with the Mine deck. Stack coins by value, and each player receives 15 gold coins. 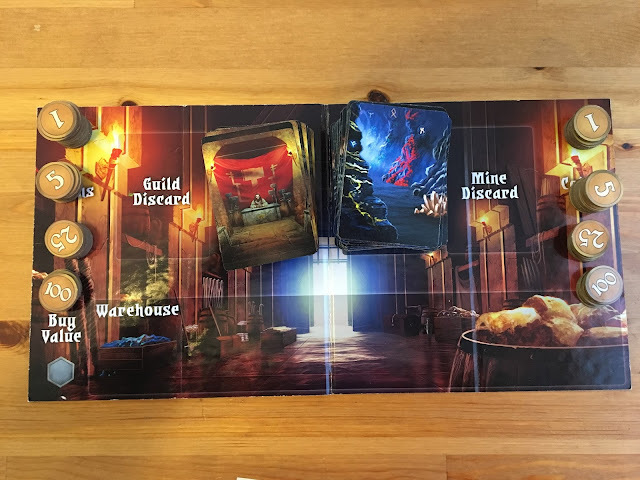 Before players draw their starting hand, each player takes the top four cards of the Mine deck and places them in their Workshop (more on that later) unrefined. Then, each player draws four cards from the Mine deck, and two cards from the Guild deck. Now you’re ready to play! Once setup is complete, your play area should look something like this. Each player’s player area revolves around their player card (i.e. the Dwarf card). 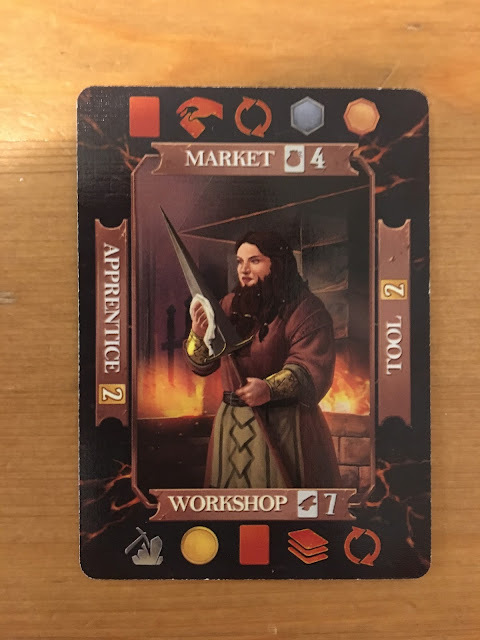 Above the card is the designated location for the Market (4 cards max), the bottom is for cards in the Workshop (7 cards max), and the left and right sides of the card hold Apprentices and Tools, respectively (2 cards max on each side). 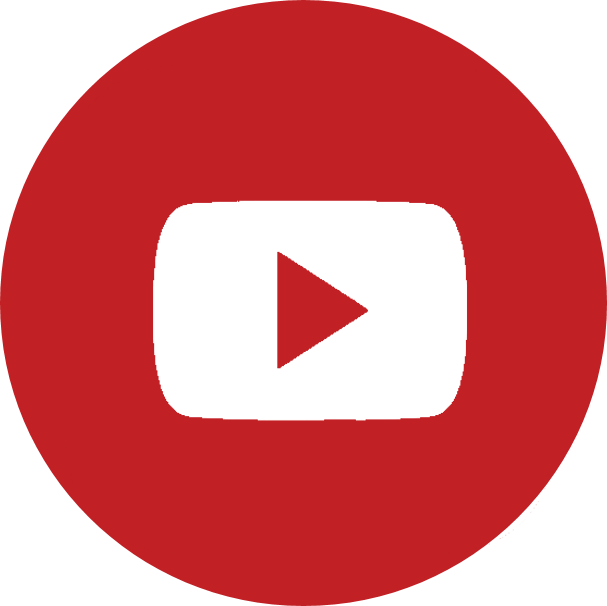 Each player takes his or her turn, following turn order, by completing a series of phases. 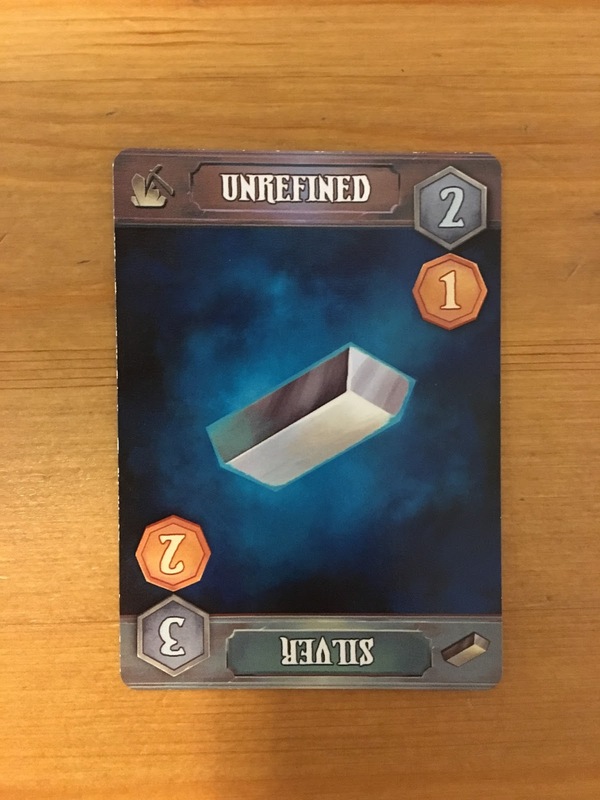 At the beginning of each player’s turn, players turn their unrefined cards in their Workshop to refined. This makes them useable and generally makes it so that card sells for more gold. If a player has crafted a Guild card on the previous turn, that card is now considered crafted, and can either be sold for a healthy sum of gold, kept as a tool or apprentice, or kept in the player’s Market if it’s a King’s Item (four King’s Items in a player’s Market triggers the end of the game). Crafting a King's Item: the King's Item is played face down on all the required resources. Once crafted, the face down King's Item card and all attached resources go into that player's Market. Next, the active player may do as many actions as he or she desires (which may sound like a crazy amount of actions, but there are only so many actions a player can actually do on their turn). There are various actions from which to choose, but I won’t go into great detail about them. To sum things up, actions help you collect cards, sell cards, and eventually craft your big-ticket items for heaps of gold. The final phase is to draw four cards (unless you would go over your hand limit of six cards, in which case only draw up to six). This method of play continues until one of the draw decks is depleted, or a player has four or more King’s Items cards in their Market area. When this happens, every other player gets one more turn, and then King’s Items are scored, gold distributed, and one Master Craftsman crowned! Four King's Items are in this player's Market, which triggers the end of the game. The theme is simple, yet compelling. 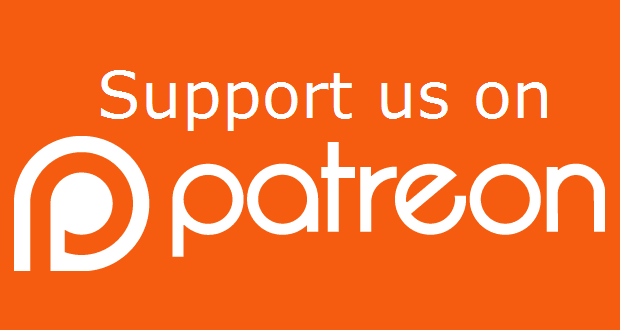 As dwarves, players build and craft things using various metals, gems, and runes, which is something dwarves are known to be inherently good at. Despite the relative simplicity of the theme, there is enough of it to keep players engaged as they continue to construct and craft various objects (I crafted nails once; so proud). A metal, a gem, and a rune. The mechanics behind the game work well. In fact, the more I played the more I grew to understand and respect the mechanic of choice; it just fits. Managing resources is what all good dwarves must do if they want to end up with the most riches. In the game, I appreciated how players could drop as many cards into their play area as they wanted (and as allowed), yet they had to wait until their next turn before really using them for anything worthwhile, rather than instantly playing cards then crafting on the same turn. Resources are played in the Workshop (below the player card). Another interesting aspect was the Market. Sometimes, players are forced to stash some cards in the market (above their player card) because their Workshop was out of room. Well, since it’s in the market, that means the card is fair game to anyone who wants to buy it, and if it does get sold, then so much for saving it for later! It’s a nice aspect to gameplay that helps add a bit more depth to the game. The art is certainly well done. The cards look great and, as I mentioned earlier, the women have beards, which is awesome. A lot of attention went into the artwork of the game. The runes, gems, and metals looks great, as do the Guild cards. It definitely helps the theme sink in while playing. 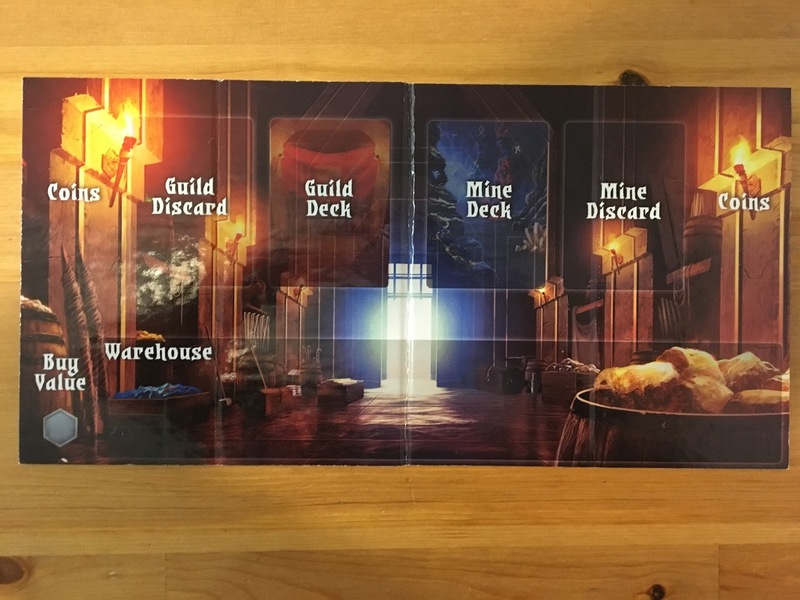 The backs of the Guild and Resource cards. The backs of two of the player cards. Components are good, for the most part. My only beef is with the gold coins, which don’t look so much as gold coins as cheap cardboard. But let’s be real, that’s not going to ruin this game for me. Also, the copy of Dwarven Smithy that I have is a pre-Kickstarter version, so I assume the coins will look better once all is said and funded. The mechanics are enjoyable, and while games can take anywhere from 60-120 minutes (depending on player count), I didn’t find it dragging on. The art is neat and the women have beards (have I mentioned that yet?). There’s a fair bit of strategy and planning ahead, which adds depth. I found that, even if one player had four King’s Items (worth the most gold) in their Market at the end of the game and I only had one (woe is me), the point differential wasn’t as extreme as I thought it would be. This allows for players to still have a shot at winning even if the cards they need for King’s Items aren’t showing up. While players can purchase Mine and Guild cards from other players, there really isn’t a lot of player interaction. Games can take a fair bit of time to play. Dwarven Smithy is a solid game. It’s a wonderful hand, area, and resource management game with a fun set of mechanics. It’s got it where it counts, and it’s one I’ll certainly get back to the table. I am giving Dwarven Smithy 7 out of 10 super meeples. 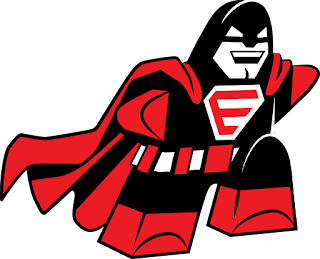 On KICKSTARTER now through October 17, 2017!!! I played this at Origins and was disappointed that it didn't make its initial funding. I really hope it does so when it relaunches.